The use of a restraint belt across the face of a man who had a cardiac arrest in custody may have contributed to his death, a pathologist told a court. 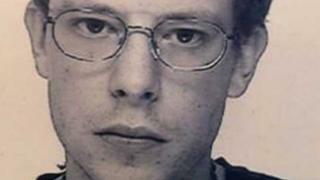 Thomas Orchard, 32, was arrested and taken to Heavitree Road police station in Exeter, Devon, in October 2012. Mr Orchard, who had paranoid schizophrenia, was restrained and an emergency response belt (ERB) was placed across his face. The belt, which prevents spitting or biting, was left on for five minutes. The restraints were removed and he was left in a locked cell for 12 minutes before custody staff re-entered and began resuscitation. Mr Orchard, who worked as a church caretaker, died in hospital seven days later. In 2018, the office of the chief constable of Devon and Cornwall Police admitted breaches under the Health and Safety at Work Act. A trial of issue is being held at Bristol Crown Court to resolve disputes, including whether the use of the belt was a contributory factor in Mr Orchard's death. Dr Deryk James, a registered Home Office pathologist, said he concluded Mr Orchard suffered the cardiac arrest as a result of his schizophrenia and withdrawal from his prescribed anti-psychotic drug, clozapine. Dr James said he examined an ERB but concluded it could not be "ascertained" what role the belt played in Mr Orchard's death. Mark Heywood QC, prosecuting, suggested the application of the belt around Mr Orchard's face could have made a "very significant contribution to the inability to draw in oxygen and an inability to expel waste products". Dr James replied: "Significant? In terms of 'Was this the straw that broke the camel's back?' Yes, could be." The pathologist said in a "great many cases" there needed to be a "trigger" for the cardiac arrest. "There is in this case that trigger," Mr Heywood suggested. "There is significant restraint, including the prone position, the ERB around the face. "All of these taken together led to cardiac arrest and the brain injury."